Australians are expected to spend some serious money on Valentine’s Day 2019. The statistics reveal that consumers spent more than $23 million on Valentine’s Day in 2017. More than thirteen million dollars from this amount was spent on dinner and seven million on drinks. Also, approximately 3.2 million was spent on flowers the same year. In fact, florists in Australia experienced a whopping 500 per cent increase in their sales on Valentine’s Day in 2017 compared with an average Tuesday in February. The most romantic age group was the 25-35-year-olds while the 18-25-year-olds weren’t far behind. These statistics open up incredible opportunities for brands that are looking to capitalise on the trend. 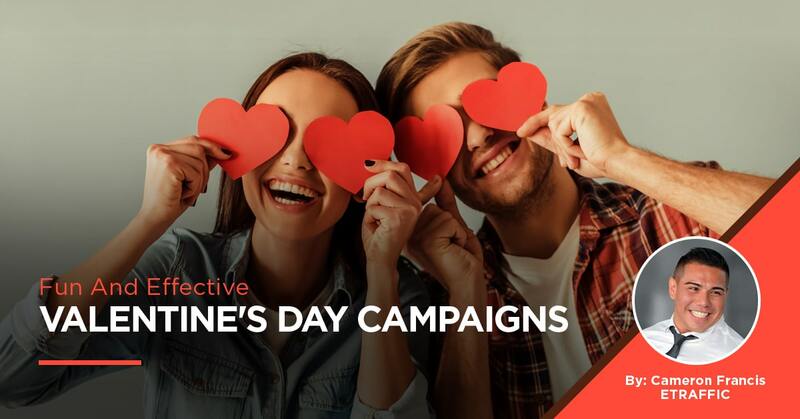 There are many opportunities for brands to make a good impression on their customers on Valentine’s Day with highly creative marketing campaigns. Here are some of the most fun and effective Valentine’s Day marketing campaigns. This was one of the most creative marketing campaigns designed by Doritos for Valentine’s Day in 2016. 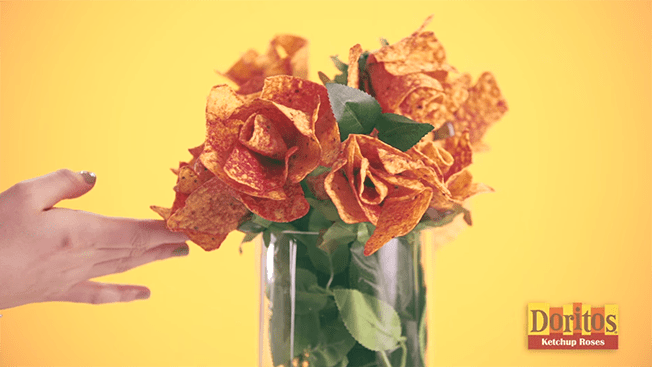 They designed a bouquet of ketchup-flavoured Doritos roses. It was first launched in Canada in Montreal, Toronto, and Vancouver and the product quickly sold out. In fact, the marketing campaign for the bouquet became popular on social media resulting in 56 million video impressions and millions of views within a short time. The same product was launched in 2017 and quickly ran out of stock during that year too. In fact, the limited availability of the product made it a hot commodity in Canada. Brands can learn a lot about this highly successful and creative marketing campaign from Doritos. In fact, the company found a way to become creative and impress an audience on Valentine’s with a product that is unrelated to this specific day. Doritos proved that any brand can become successful in attracting a large number of clients to their products – even if they are not related to Valentine’s Day – by thinking out of the box and creating a fun and effective marketing campaign to promote the product. You should be taking advantage of the huge number of consumers who are willing to spend millions of dollars during this Valentine’s Day. Ford’s Valentine’s Day marketing campaign designed to promote the Ford Mustang went viral getting millions of video views in the process. In this video, a woman is meeting several men for separate blind dates. She invites each man to take a ride in her car – a red colour Ford Mustang. After an initial interview about the lives and interests of these men, she hits the gas pedal without any warning to them. When the woman starts to speed through a parking lot drifting the vehicle in the process – the man holds on for dear life – some nervously laughing, some really scared for their lives, and some doing the best to enjoy the ride. After each man has been freaked out enough, the woman stops the vehicle and tells him that she is a professional stunt driver. She also reveals that the encounter has been a part of Ford Mustang’s Speed Dating. At last, the man finds relief as he gets out of the car and meets the camera crew that was filming everything. This campaign was an instant success and helped capture millions of views on YouTube within a very short time. In fact, a business can learn from Ford’s marketing campaign and learn unique methods of drawing peoples attention to their products on Valentine’s Day. It will let you attract a lot of targeted customers over time. Omaze – a philanthropic-auction platform – got together with actor Idris Elba in order to raise money for “W.E. Can Lead” – which plans to offer 1,000 young girls in Sierra Leone with empowerment workshops. They planned to offer the winner a Valentine’s Day trip to London. The winner gets the chance of dining and spending time with Elba in London. The requirement to join the party was to donate a minimum of $10 to W.E. Can Lead. Omaze used Facebook, Twitter, and Instagram to promote their video. The campaign received 1.1 billion video impressions, 13.7-million video views on Facebook, and about 30,000 donors. In fact, they doubled their financial goal and raised more than $750,000 in the process. Omaze was able to capture the interest of millions of individuals across the world by offering them a great experience with a popular actor for a good cause. They even got the attention of popular media outlets such as The Huffington Post, BBC, and CNN. This shows how a bit of creative thinking can help take your business to the next level with the right marketing campaign during this special day. That is why you should be taking advantage of this Valentine’s Day to attract the right consumers to your business. This is another creative marketing campaign that won the hearts of millions of consumers across the globe. In fact, Renault ZE came up with an innovative animation campaign for their Valentine’s Day campaign last year. 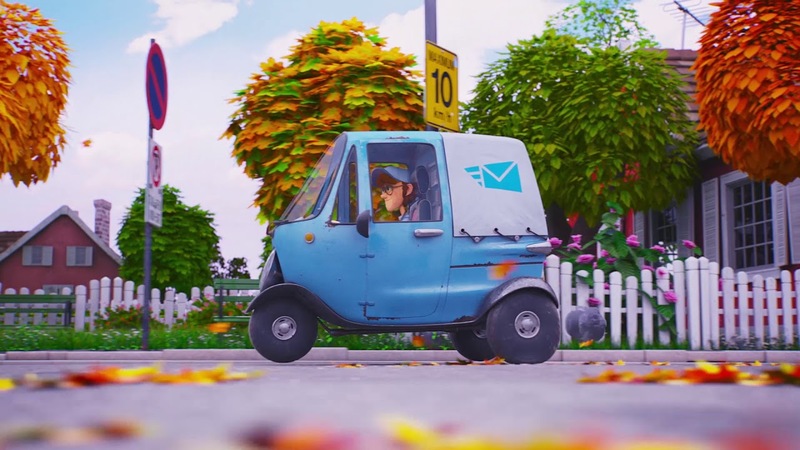 The animation showcases a budding romance between a postal carrier and his delivery recipient – which is disrupted by a feisty pet dog. The animation shows the postman trying to approach his love but his van disturbs the dog each time he tries to do so. Everything goes wrong for the postman until he buys a Renault silent electric car. The new vehicle helps him approach the girl without disturbing the dog. The company was able to evoke the emotions of their customers with this creative animation series. You should think about implementing a highly creative marketing campaign and promoting your business to your target customer base this holiday season. Australians are going to spend millions of dollars on Valentine’s Day this year. Make sure you implement a highly creative marketing campaign to attract the right type of consumer to your brand this season. If you are looking to develop a fun and effective marketing campaign over Valentine’s Day to try and generate more sales, and not sure where to start, book in a free strategy session with one of our business growth specialists today.